Hi . This is a tutorial about Mailmunch. Do not confuse MailMUNCH with MailCHIMP. These are two different platforms. Mailmunch is primarily a way for you to capture leads on your website and grow your email List. And it works well too. Before we get into the tutorial let us first understand what Mailmunch is. Before we decide to or not to watch the tutorials, let’s have a deep look at this platform in detail. This is a very unfair comparison . Why do I say that? It’s because these two platforms have different capabilities, functionalities, features and focus points. And one is way older than the other. Mailchimp has been around since the early 2000s . Since 2001 to be precise. Mailmunch is just a new born. Still growing. Still adding features. You see, this would be an unfair comparison. MailChimp is a fully fledged email Marketing platform. Mailmunch is primarily a quick and an easier way for you to collect subscribers on your Website. And you can also transfer those subscribers to MailChimp and other email Marketing platforms automatically. Mailchimp has lots of email templates and themes that you can use and reuse when emailing your subscribers. Automation , for automatically triggering some actions due to a subscriber activity or event. Eg when a new subscriber signups, send out this message the whole month, and so on. So, as you can see above, these two should never be compared. Why? Because MailCHIMP is a fully fledged email Marketing Solution. 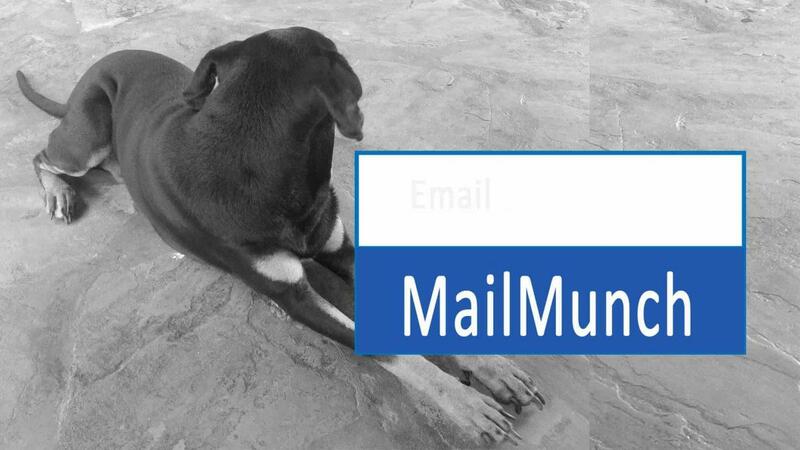 And MailMUNCH is a good tool for collecting subscribers on your Website. And then you can send those subscribers as soon as they subscribe, to MailChimp. You will learn how to do this, in this MailMunch tutorial. Again comparing these two is not a fair comparison. In comparing sumome vs MailMunch, I can come up with a simple analogy. An analogy of comparing a Jacket or a coat to a full Tuxedo. In this comparison, sumome is a Tuxedo that comes with accessories, such as bow ties, shoes, waistcoats and a white formal shirt. I think they even threw in a watch in there. And MailMunch is a jacket/ coat. You can wear it with anything. It can go with a jeans , denim or even a formal trouser. Sumome is basically a suit of many different and sometimes arguably unrelated features. Mailmunch is essentially used for the first part of email Marketing. Which usually entails collecting leads on your website or blog. That is, for growing your subscribers. Let’s take a look at some of the features of these two. You will see the variance for yourself. Sumome has different features as listed below. Each of them serve a different purpose. And you can activate what you need and use just that. Buy Button: Have a button on your website for selling stuff. Discover: Send content to other sites. Traffic exchange kind of thing. Welcome Mat : Full screen call to action. Kind of cool. I love it . Scroll Box: Slides in a form to capture subscribers. A form shows up as you scroll down. Also available in MailMunch. Content Analytics : Check the stats for your posts. How are people dealing with your content. Image Sharer : Enables visitors to share your images on social media of your choice. Highlighter : Enables visitors to share section of your text content. Contact Form : Lets your visitors reach you. Mail munch is ultimately focused on subscribers. So most of the features are about opt-in forms and the subscriber data and analytics. MailMunch has all the different kinds of Forms that you can use for collecting subscribers. Popup : This is a form that pops up when you visit a web page or when you click a button/link. Embedded : This is a form that you can embed anywhere on any HTML powered web page. If you scroll down, you will see one below. Top Bar : This is an horizontal form that you can have at the top of your page to encourage people to subscribe. It can also be at the bottom of the page, The same thing as a hello bar. Slide Box: This is a form that shows up as a user scrolls down the page. Entry and Exit intent Technology : Same old exit intent thing, when someone is about to leave, show the form. When someone loads a page show a form after some rule you have set. Lists : Create new lists . Check your list of subscribers. Export them, edit them, delete them. Do whatever you want with them. AutoResponders : This is a beta feature that lets you auto-send messages to every new subscriber. It’s currently in beta mode. When you set up a new form on Mailmunch, you can have the subscribers also get automatically added to the following email Marketing platforms. You will learn how to do this, in this Tutorial . This tutorial will show you how to use the MailMunch platform. You shall begin by creating a new FREE account. And then you will use it to create forms and add them to your website. By the end of this course you will learn how to use it on any website you have. And at any point if you have any questions I will be there to assist you. You can join this tutorial on SkillShare. Links are below. New members will get free access. SkillShare Members, use the following link to access the class. For new or non-Premium members, you will instantly get access to the class after registration on skillshare.com . This Mailmunch course is also available on Udemy .Click the button below to watch it. This is a MailMunch Tutorial . You will learn how to use Mailmunch to collect subscribers on your Website. Popup forms: This is a form that pops up when you visit a web page or when you click a button/link. Mail munch enables you to create pop up forms which you can add on your website. The forms work really well and will enable you to grow your list. Embedded Forms : This is a form that you can embed anywhere on any HTML powered web page. You can embed these forms anywhere on your Website. If you have some give away, you may use an embedded form to collect emails . Then let those who’ve signed up to get the Free give away. Top Bar : This is an horizontal form that you can have at the top of your page to encourage people to subscribe. It can also be at the bottom of the page, The same thing as a hello bar. The Topbar you create on mailmunch.com will enable you to have a permanent form which you can count on to collect subscribers for you. Slide Box: This is a form that shows up as a user scrolls down the page. You may create one of these forms, then add the simple snippet code to your website. And whenever someone scrolls half way down the page, or 70 Percent down the page, they will see the form slide in. All the forms you create will add / collect your subscribers to the list you create on Mailmunch. You may have all the forms add signups to the same list or you can have each form have it’s own list.